Rewrite of articles created by Neil Vigdor and Hugh Bailey of the Connecticut Post Bridgeport Landing Development (BLD), Bridgeport’s highest-profile landowner, says its Steelpointe properties are shovel-ready for developers who would love to build in the Park City. 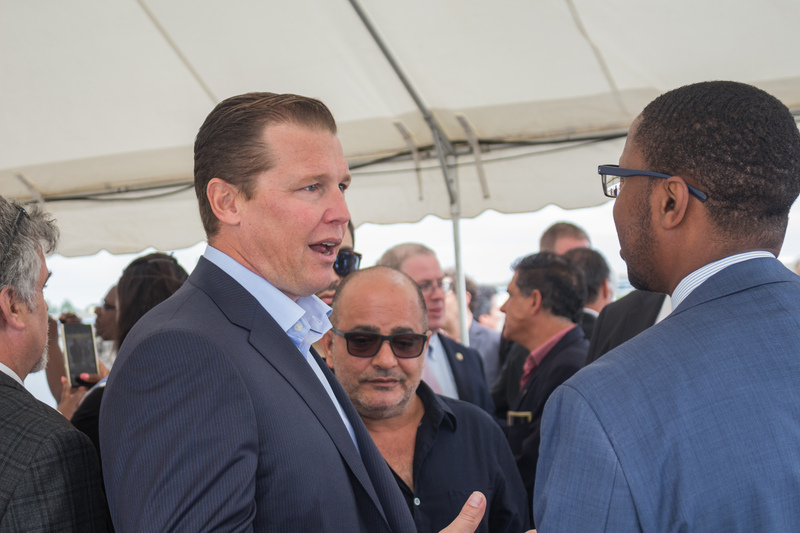 MGM Entertainment has now promised an investment of $675 million dollars in private funds for the development of a casino and entertainment complex with thousands of new jobs. That fits right in line with BLD principal Robert Christoph Sr’s vision for the Seaview Avenue site he owns across the harbor from the Steelpoint peninsula. Bridgeport’s who’s who showed up for a Monday morning announcement by MGM Bridgeport. “This is exciting entertainment along the waterfront, it’s about jobs, about thousands of jobs,” said Bridgeport Mayor Joe Ganim. 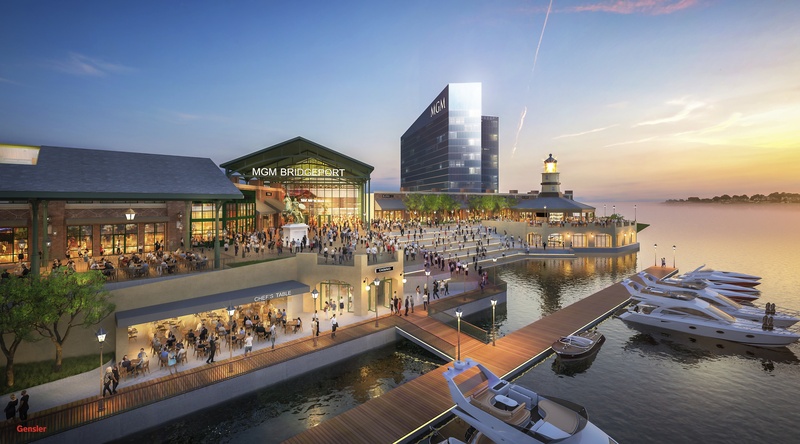 The developers of MGM Bridgeport are promising to create at least 2,000 permanent jobs and an annual tax revenue stream of $316 million for the cash-strapped state upon completion of the hotel, casino, shopping center, boardwalk, and marina. An economic impact study commissioned by MGM and produced by Oxford Economics anticipates the creation of another 5,779 ancillary jobs in construction and local business. In addition to paying taxes on the slot and floor games, MGM has committed to pay a $50 million licensing fee to the state if the project gets the green light. Bridgeport will receive $8 million a year for hosting the casino to spend as it chooses, in addition to whatever percentage of casino tax revenues it receives from the state, MGM officials said. 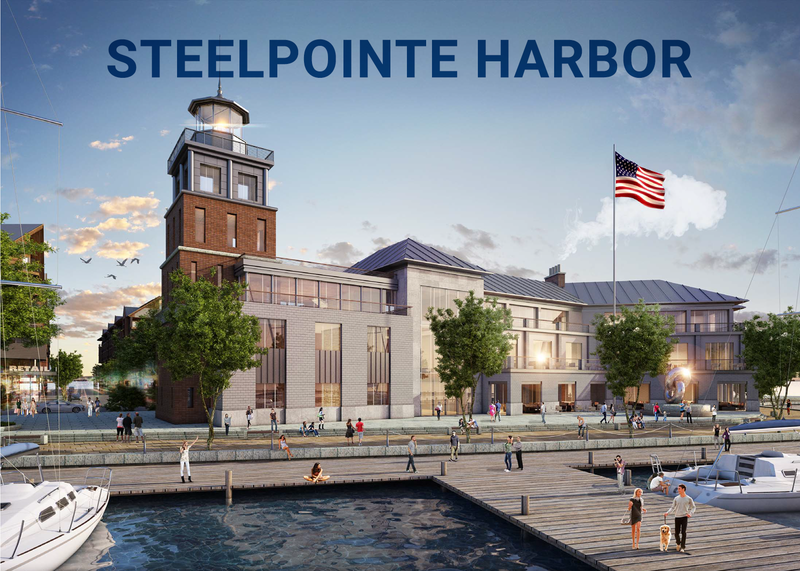 The project renderings show a 10-story, 300-room hotel rising up along the harbor on the former Carpenter Technology property with a 900-foot long boardwalk along the waterfront, a marina and 30,000-square feet of retail space. The casino would occupy 100,000 square feet of space with 2,000 slot machines and 160 table games. While the resort would have a 700-seat theater, MGM officials say, the site isn’t large enough to build an arena or major performance venue. Casino executives added that Webster Bank Arena, which holds 10,000 spectators, would be a beneficiary of musical acts lined up by MGM. 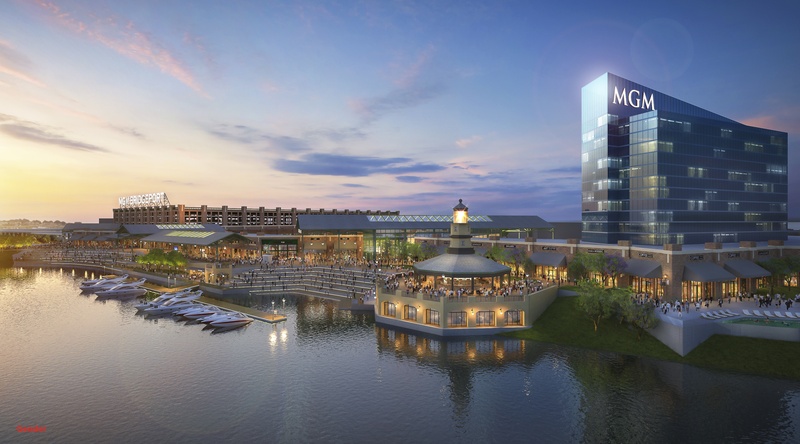 MGM executives pointed to last December’s opening of MGM National Harbor in Prince George’s County Maryland, just outside Washington, D.C., as a benchmark for the Bridgeport project. 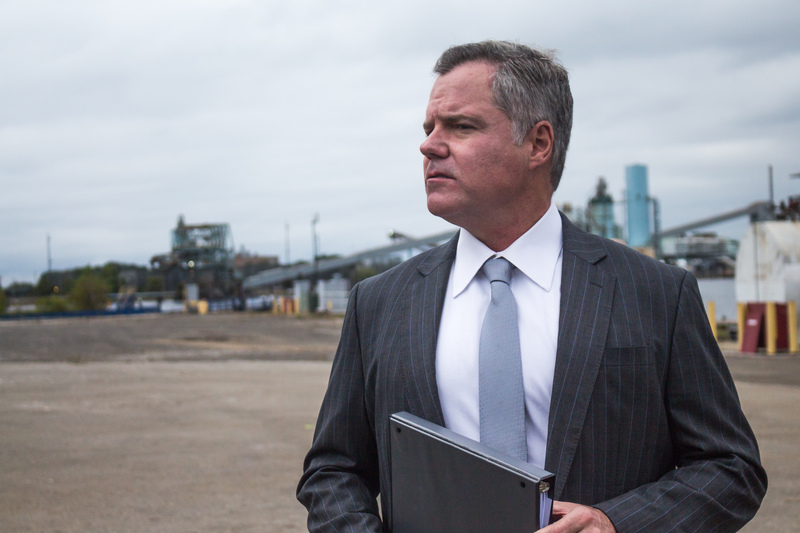 MGM officials said in a press release that Bridgeport, along with a project in Tokyo, are the company’s top two priorities. “I don’t know when those two cities were mentioned in the same sentence,” Clinton said. GM officials promised not just any jobs, but well-paying positions with benefits and a chance for workers to get ahead.